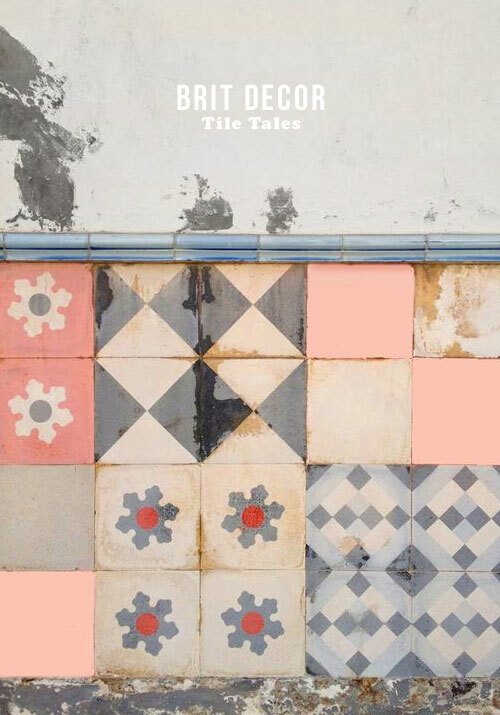 Confession of an interiors addict; Tiles are a source of constant fascination to me, to the point of becoming an obsession! I love the way in which these building blocks of interior design introduce colour, pattern and texture to a scheme. From intricate to minimalist, gloss to matt, handmade to mass-produced, there's a tile out there for everyone. Wherever I find myself in the world, I like to pick out the finer details of my surroundings, and tiles are one of my top design details. Classic white brick tiles are a 'win win' design detail, the simple monochromatic palette formed by the white bricks and dark grouting, creates light, contrast and simplicity in a highly effective way. This look also knows no boundaries in the home as it suits bathrooms and kitchens alike - you literally cannot go wrong with this look! 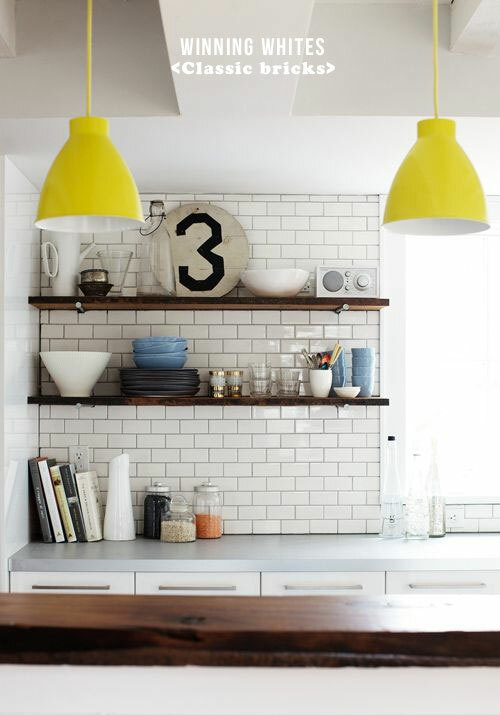 For a very current style statement, try adding some citrus yellow detailing like these industrial metal ceiling pendants in image no.2 'above'. Tiles are surely worthy of a celebration, right? I can't think of a better way of doing this than creating a confetti inspired riot of pattern and colour. This look is busy and full of energy so think about deploying some 'peace-keeping' whites to offset this and balance your scheme, as shown in image no.3. Monochrome magic is the illusion that keeps on giving, the combinations and styles of this two-tone palette are incredible. 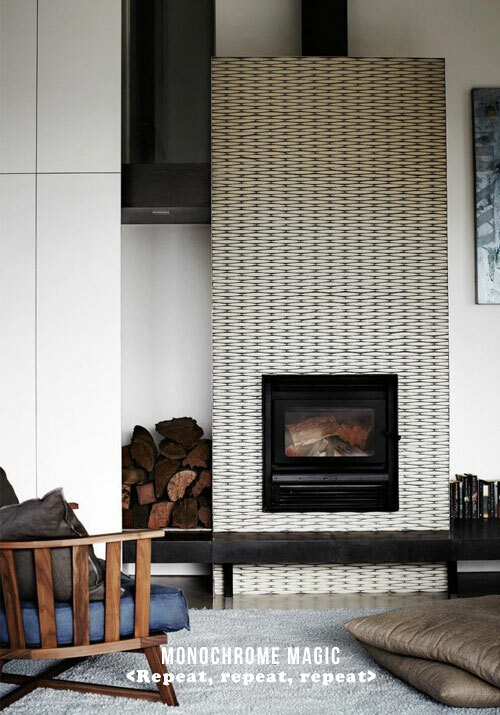 The striking monochromatic colouring of these fireplace tiles in image no.4 become more powerful with the repeating uniform pattern which catapults the chimney breast in this vintage-styled lounge, into the centre of the room. 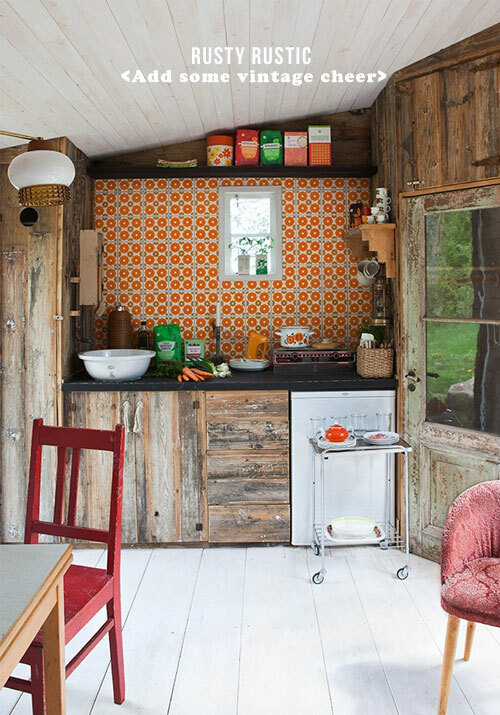 Finally in image no.5 we see how a touch of 70's vintage tiling injects some fun and warming colour into this kitchen setting, which also works in tandem with the rustically warming wood. Smaller concentrated areas of intense pattern can add colour and a focal point all-in-one. 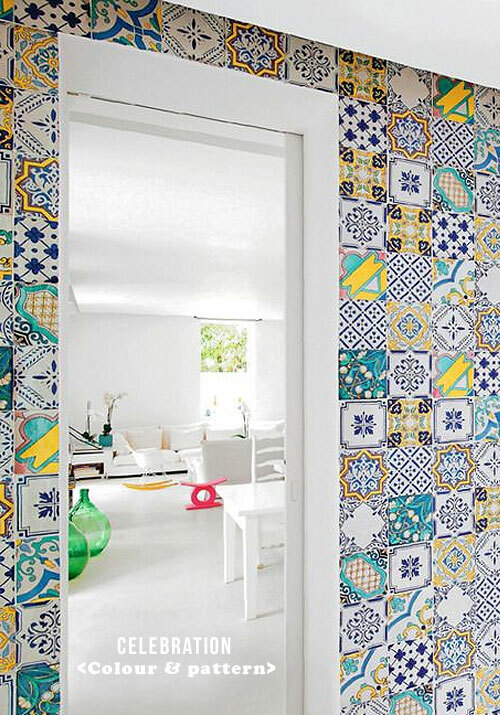 Which is your favourite tile style?